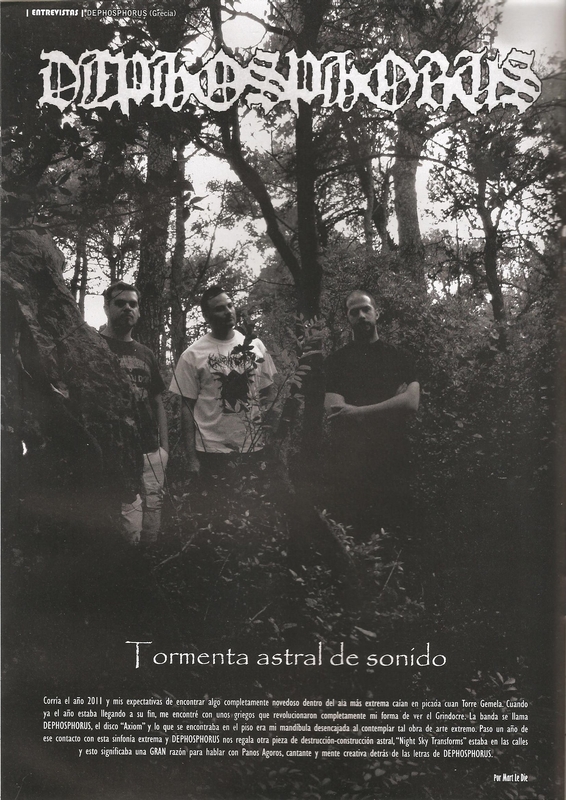 Those of you who understand spanish should get their copy of Metal Daze magazine issue#4 (March 2013) right about now! It features a comprehensive 3-page feature with Dephosphorus. 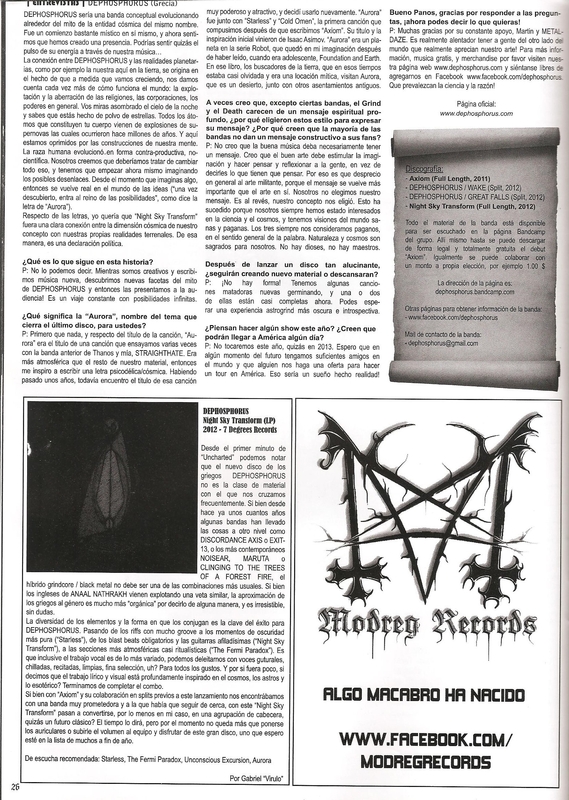 The interview has been conducted by longtime supporter Mart Le Die from Modreg Records. All hails to him and to Walter, the mag’s chief editor! 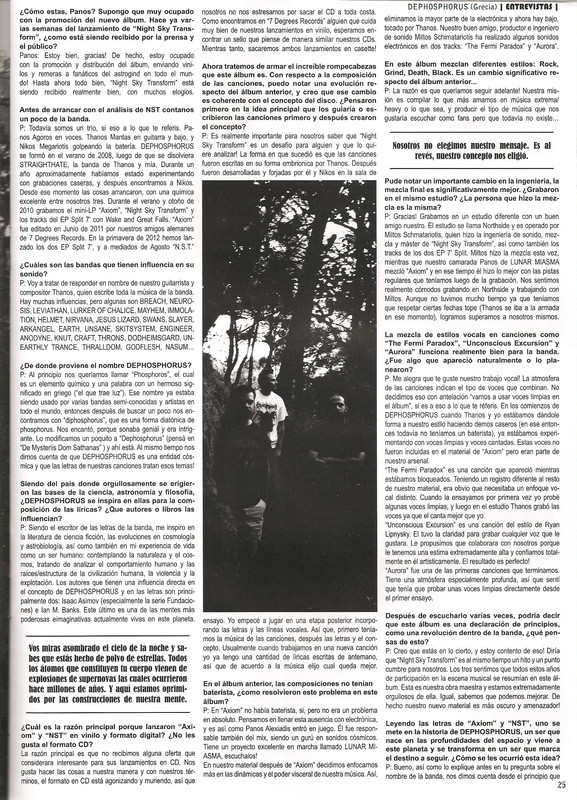 Check out this interview that Thanos and Panos gave to Hail & Horns Magazine! Make sure you check out this new comprehensive Dephosphorus feature @ Lurker’s Path! It includes an in-depth “Night Sky Transform” review and an interview with Panos.